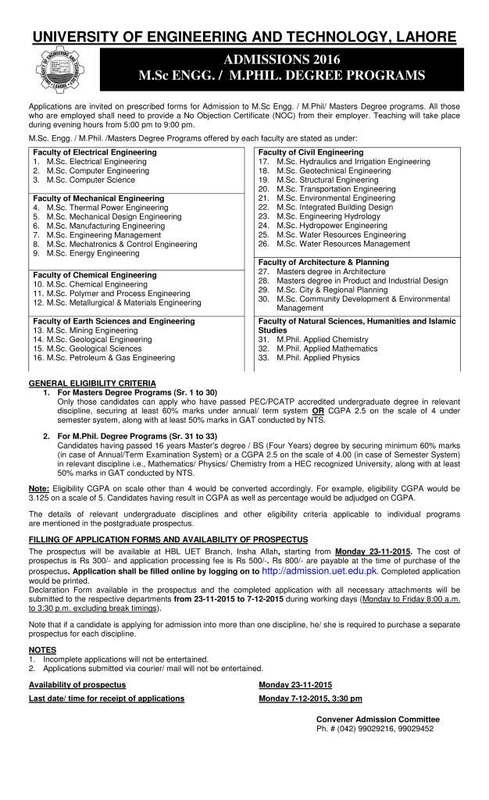 Applications are invited on prescribed forms for Admission to M.Sc Engg. / M.Phil / Masters Degree programs. All those who are employed shall need to provide a No Objection Certificate (NOC) from their employer. Teaching will take place during evening hours from 5:00 pm to 9:00 pm.